Home Lifestyle	Wait a minute, that’s my pasta! Wait a minute, that’s my pasta! 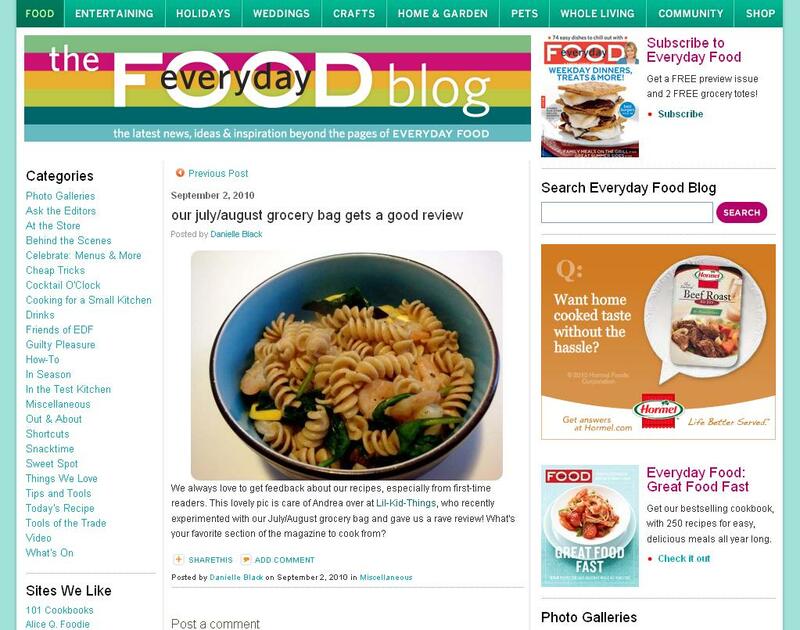 If you follow me on Twitter you already know this, but last night I opened my email inbox to a lovely little note saying my 5 Meals: 1 List post had been linked to on none other than Martha Stewart’s Everyday Food Blog! As a small-time blogger, this sort of thing doesn’t happen very often so I needed to take a moment to collect myself…ie. stop jumping up and down while saying oh wow! Oh man! Wow! At any rate, I am so thankful for the shout out! Cuz really? Those meals were GOOD. Blogging My Way to Asheville! How Much of Your Life is a Result of Your Choices? How cool is that!! You are so talented….and I might make this next week! Woohoo for you!! 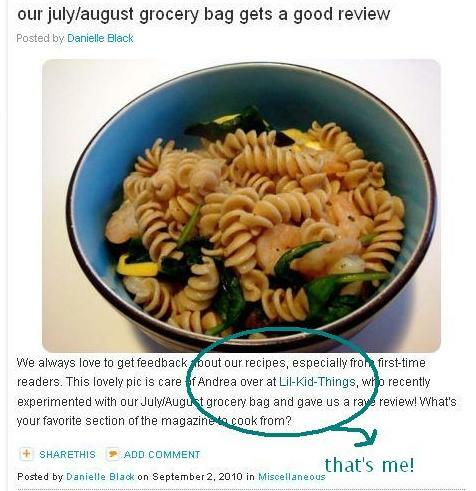 Big congrats Andrea…..so cool!! How cool!!! That's fantastic! How did I miss this on Twitter? 🙂 Congrats!